A 12-story building collapsed in Miami Beach on the morning of July 23, injuring at least one person. There is no indication yet as to what may have caused the collapse of the empty, 55-year-old Marlborough House condominiums, the Miami Herald reported. The building was scheduled for demolition so a new, 19-story residential tower could be built on the site after it was purchased by Brazilian developer Jose Isaac Peres. According to police, the building did have a demolition permit, but not an implosion permit, CNN reported. It is still unclear whether or not crews imploded the structure. The injured individual was treated at Jackson Memorial Hospital. More information has been released about the incident. The injured man, whose identity has not yet been released, was taken to the hospital in critical condition, Firehouse reported. According to a witness, a large piece of concrete fell and hit the man in the torso. 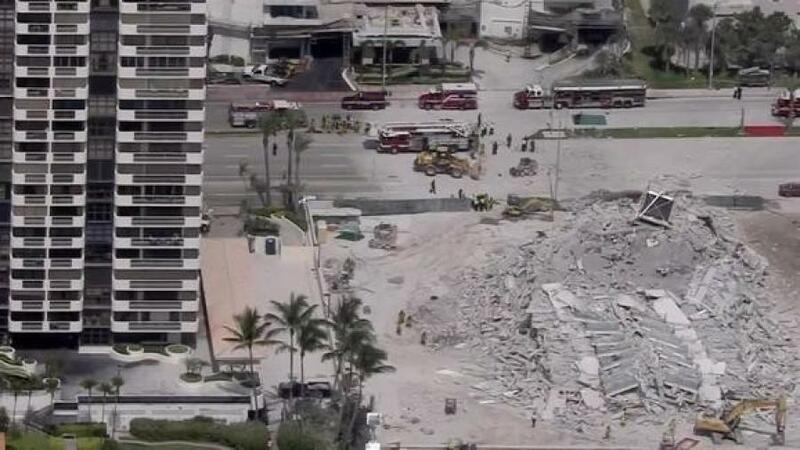 “Some of the falling debris hit the worker and that's what caused the injuries,” confirmed Miami Beach Fire Chief Virgil Fernandez during a press conference. No other victims have been found, and the company doing the demolition work said that all of their workers have been accounted for. Officials said that July 23 was the very first day in a six-month stretch during which the building could be demolished, as per a city permit. However, the permit does not allow for an implosion to take place, Firehouse reported. “They had tried to ask for a permit to implode and they had been denied, so it was standard demolition that was supposed to be taking place,” said Ana Salgueiro, the head of the Miami Beach Building Department. According to Salgueiro, Miami Beach does not provide implosion permits.